Despite Republican promises to the contrary, changes to family planning services has resulted in less access that will cost Iowans more. Last spring, Iowa Republicans crafted a new family planning program funded only with state dollars. They did so for the sole purpose of excluding providers that perform abortions or are part of a health network that does. Although abortion providers could accept public money under the previous program that was primarily funded at the federal level, none of the funds could be used for abortion services. 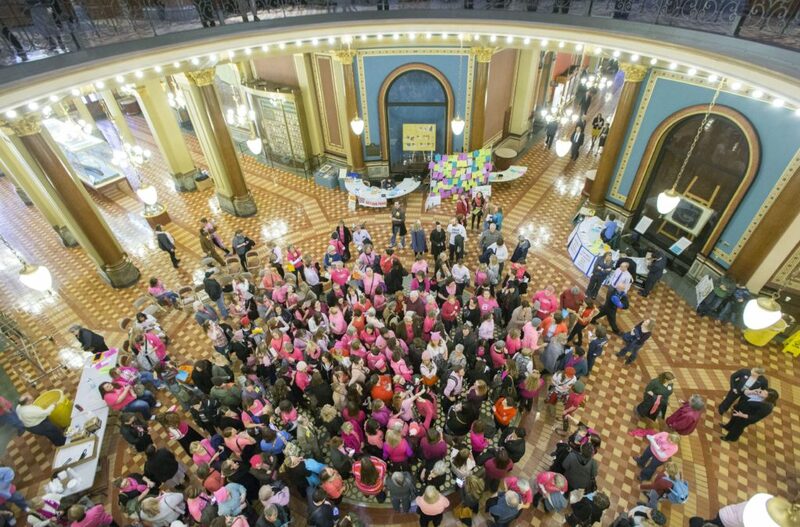 The state’s new rules not only resulted in the expected exclusion of Planned Parenthood, but of other significant health care providers like the University of Iowa Hospitals and Clinics and the statewide UnityPoint network. Promises of expanded access haven’t materialized, according to a preliminary report from the state Department of Human Services, which provides a shocking picture of just how thin family planning networks for vulnerable men and women have become. The report, first obtained by Barbara Rodriguez of the Associated Press, shows massive declines in providers and participation since the Family Planning Program launched last July. Patient enrollment, which had been steadily declining due to increased health care options under the Affordable Care Act, took a significant nose dive following implementation of the state-funded program. Enrollment in October 2016 was 13,166. A year later it was 6,897. The number of active providers — those who provided any type of family planning services — also fell from 1,432 to 957. Not surprisingly, given the two statistics above, services provided to Iowans have declined as well — from 3,866 during July, August and September 2016 to 2,664 during those same months in 2017. While Human Services officials have issued cautions about this data, noting that additional claims still could be presented and shift the figures, it’s difficult to imagine a scenario in which doctors and pharmacies are not quickly submitting unpaid bills. But it isn’t only the reduced access — the types of participating providers have shifted as well. Comparing claims submitted under the programs from July, August and September of 2016 and 2017 shows a 10 percent decrease in physician participation, as well as 1 percent drops from hospitals and rural health clinics. It’s evidence that doctors have been disproportionately and negatively affected. Apples to apples comparisons within the state’s six public health regions are not possible with the data in the preliminary report. Regional figures are available for the first three months of the new program, but no data is provided from the same time span a year earlier. Comparing median provider participation rates from the last three quarters of the former program to rates from the first three months of the new program reveals a roughly 53 percent decrease statewide. Central Iowa saw 140 fewer physicians and 49 fewer hospitals participate in the program. In the northwest corner of the state, 67 percent fewer physicians and 60 percent fewer hospitals filed claims. Both regions saw reduced participation by rural health clinics and federally qualified health centers. But it is a 17-county region in southeast Iowa that saw the largest decrease. Overall participation was down by 63 percent, which includes a 67 percent drop by physicians and 60 percent drop by hospitals. 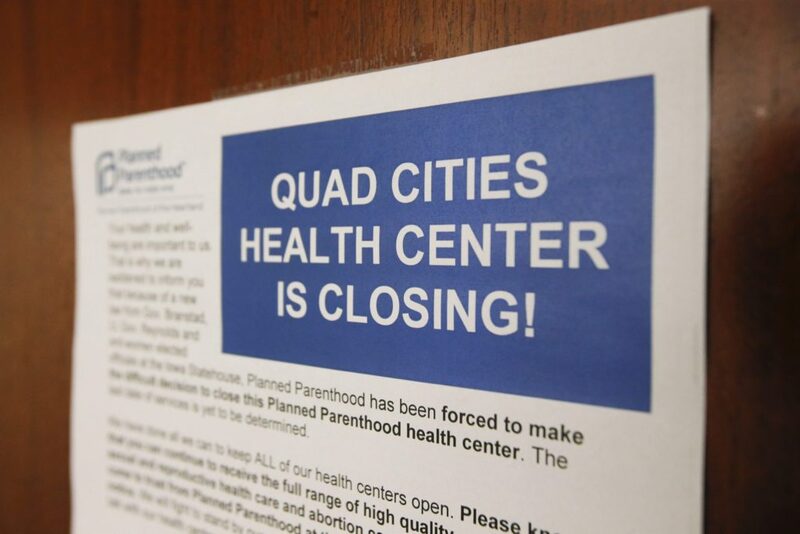 Despite the closure of a Planned Parenthood clinic in this area, participation by family planning clinics was least affected by the program switch, experiencing a 25 percent decrease. East central counties, which include the Corridor, experienced an overall 53 percent drop in participation. The largest percentage rate decline was from rural health clinics. Although an average 11 such providers submitted claims in each quarter under the former program, only two did so under the new program. And there’s potentially more bad news on the horizon for Iowans needing low-cost family planning services. Grants through the separate federal Title X funding stream soon will expire. And, as NPR reported last week, the Trump administration has not announced a new application process. The primary goal of family planning funding has always been to help women stay healthier and grow healthier babies by spacing planned pregnancies, reduce the number of unplanned pregnancies and prevent unwanted pregnancies. Family planning providers work with men and women to address fertility issues, prepare for pregnancy and test for possible disease. States that already have traveled this path experienced disease outbreaks with fewer providers to screen, educate and treat the afflicted. Those states have more unplanned pregnancies, increased Medicaid costs, less prenatal care, more low birth-weight deliveries and, sadly, increased abortion rates. That is what’s ahead for the Hawkeye State if lawmakers refuse to set aside ideology and return to solid public health policy.